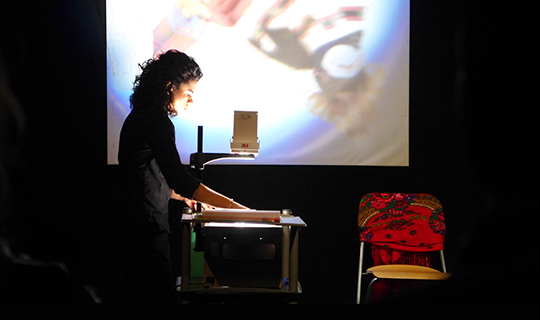 I Declare at My Own Risk is the autobiographical story of Alina Serban's journey from a 'gypsy ghetto' in Bucharest, to the Romanian care system and, ultimately, to New York and London to pursue her education and tell her story on stage. I Declare At My Own Risk has been widely performed across Europe in countries including Romania, Hungary, Italy and France, gathering considerable critical acclaim. In the UK, the play was performed at the RADA Festival in 2013 and was subsequently offered a development workshop at Oval House Theatre and a short performance run at Tara Arts in 2014. The work-in-progress showing at Soho Theatre on Fri 4th December will mark the culmination of a two week R&D period at the Turner Contemporary in Margate, prior to a full production of the play in Autumn 2016. In addition to a one-week run at our theatre, we are keen to support Alina in taking her play to other venues in London and further afield. “Very occasionally I come across someone who is like a rising star, a force that is bright, unstoppable andhas an impact on anyone who sees it. I saw Alina Serban's one-woman-show in Bucharest and it was amusing, concise, and unsentimental. It felt authentic and it avoids moralizing about the rights and wrongs of the Roma situation. With a referendum on the UK's membership of the EU on the near horizon and right-wing English Nationalism on the rise, a revival of an updated version of Alina Serban's play will be extremely timely for tourig in 2016-17. International Romani Day - 8 April.